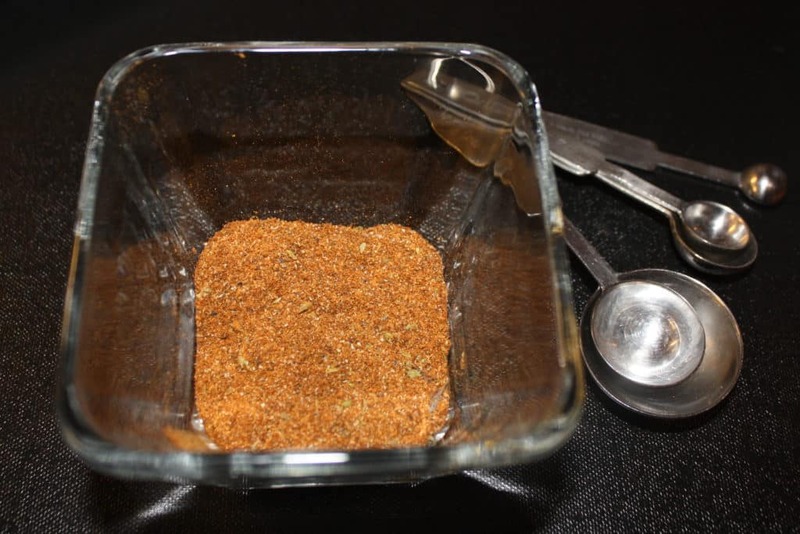 Taco Seasoning Mix Recipe made with spices you may already have in your pantry! After whisking together these flavorful spices you’ll never buy a pre-packaged taco mix again! Hey, have you noticed the big display of Corona beer, salsa and chips prominently placed in your grocery store? Start stocking up, Cinco De Mayo is just around the corner, which is a really good excuse to enjoy your favorite Mexican food! 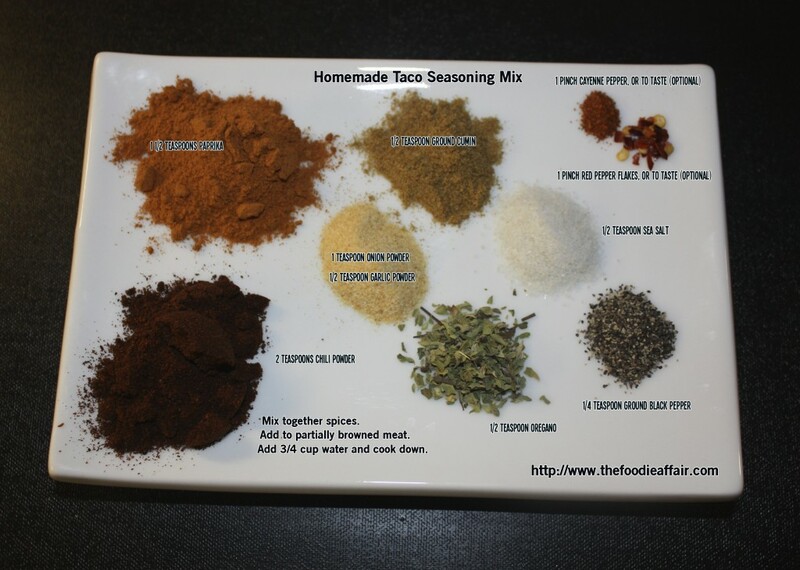 If your menu includes tacos or burritos, try this homemade taco seasoning mix recipe. I know sometimes it is very convenient to rip open pre-packaged spices, but some of the ingredients in those ready-made packets have added chemicals that you don’t need or want on your tacos or in your body! No need for sugar, MSG or food coloring added to your tacos, right? Mix to suit your taste. Like some heat? Add more cayenne and red pepper flakes. 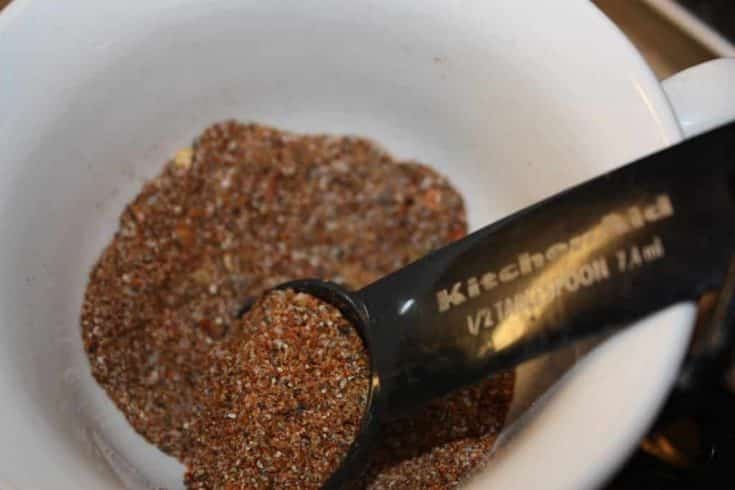 Making your own taco seasoning is super easy, and I bet you have all the spices. Just mix them together, then add it to ground beef, chicken, or turkey with about 3/4 cup of water and you have a delicious filling ready for tacos, burritos, enchiladas or to the meat for taco salad. You can even add the spices to sour cream or Greek yogurt and use it as a topping for one of your Mexican dishes. 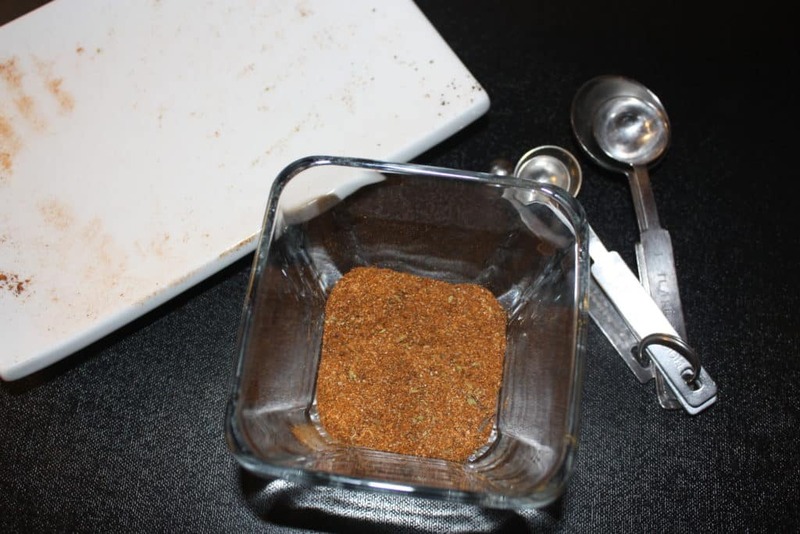 Homemade taco seasoning mix for all your Latin dishes. Simple to make and store in bulk. Add to 1 pound of partially browned meat. After meat is completely cooked, add 3/4 cup of water and cook until the flavors blend together and water cooks down, approximately 10-15 minutes. 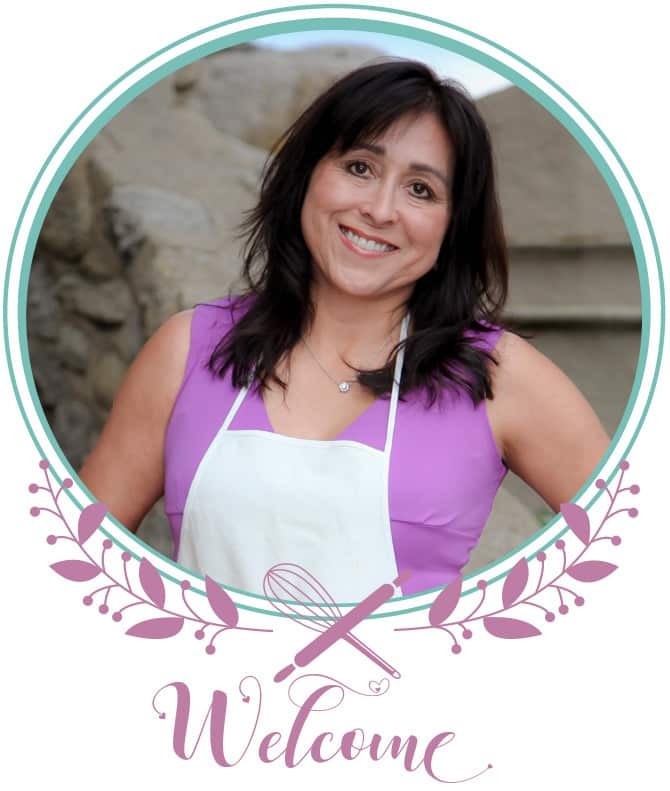 Make several batches of the mix, store it in a airtight container, and it’ll be ready for your next fiesta! Taco Tuesday, perhaps?! Make yourself a Blackberry Margarita while your at it too, won’t you?! Tacos are a family favorite of ours. I have never thought of making a mix like this, but can’t wait to give it a try! Yeah, I hate MSG! I like how the spices can be adjusted to suit your preference. Like heat, add more cayenne! Perfect for Cinco De Mayo eh! But this is very economical. The 1-2 ounce packages at the store can run you $3-4 but with this you’re saving so much money and time by making it in large amounts. I must do this. Hi Tia! 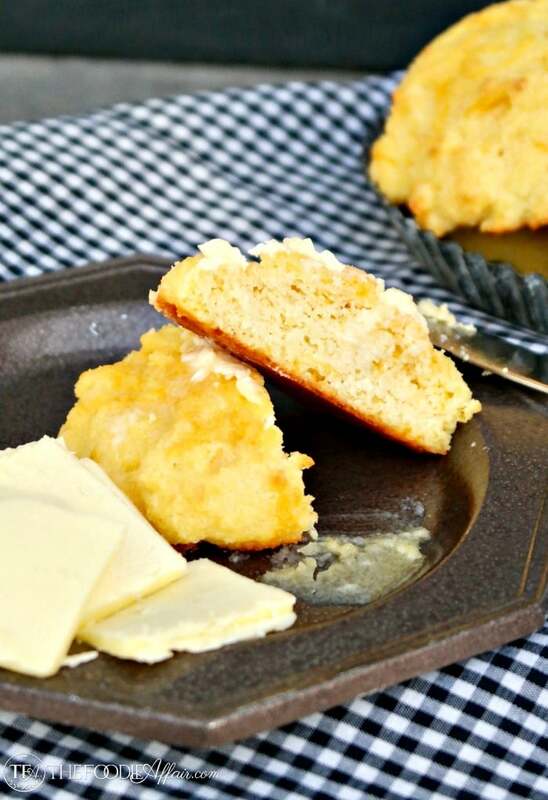 It’s super easy to make on your own and WAY cheaper! I think you’ll like having your own seasoning on hand.